Denteractive is a unique SaaS business on the web and on mobile, which streamlines public access to dental professionals through instant connectivity and collaboration tools from the comfort of their homes, office, or, when they are on-the-go! Denteractive is a unique SaaS business on the web and on mobile, which streamlines public access to dental professionals through instant connectivity and collaboration tools from the comfort of their homes, office, or, when they are on-the-go! 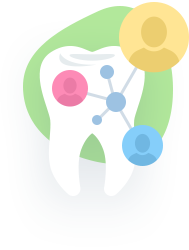 With its one of a kind “Dental Emergency Response System”, immediate access to oral health information and optimized dental care is not a luxury anymore but a rightful benefit to millions of Americans. ADA estimates show that only roughly 60% of Americans seek regular dental care annually; of this group, 10-15% actively look for new dentists due to relocation, new jobs, change in dental benefits, and their changing dental care needs. These estimates also show 49M Americans don’t have proper access to immediate dental care. Denteractive promotes mass dental health through effective engagement and optimized access, while boosting dental practitioners’ digital presence and productivity through its avant-garde approach to collaborative dentistry. 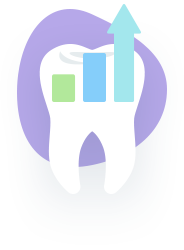 Denteractive is a seamless, multi-platform service that connects dentists and consumers in real-time. 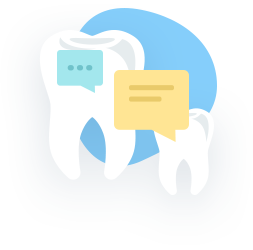 With its agile and HIPAA compliant design, Denteractive facilitates secure connections and communications between patients and dentists through instant messaging, file sharing, one-touch phone connections, emergency advice, appointment requests, personalized treatment history logs, and/or video conferencing. Consumers can filter their searches by ZIP codes, dental procedure or specialty, and by insurance carrier; or, they can simply connect to an emergency dentist by immediate text or video request. According to Bureau of Labor Statistics, there are about 200K active US dentists. Close to 5500 new dentists join the market annually, shifting the balance to younger, more tech savvy, and collaborative-minded dentists. 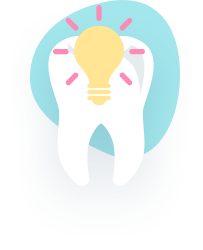 Aside from maximizing personalized care for all 170M Americans with regular dentists, Denteractive is a necessity for people with poor access to care, and for people with urgent need for care.